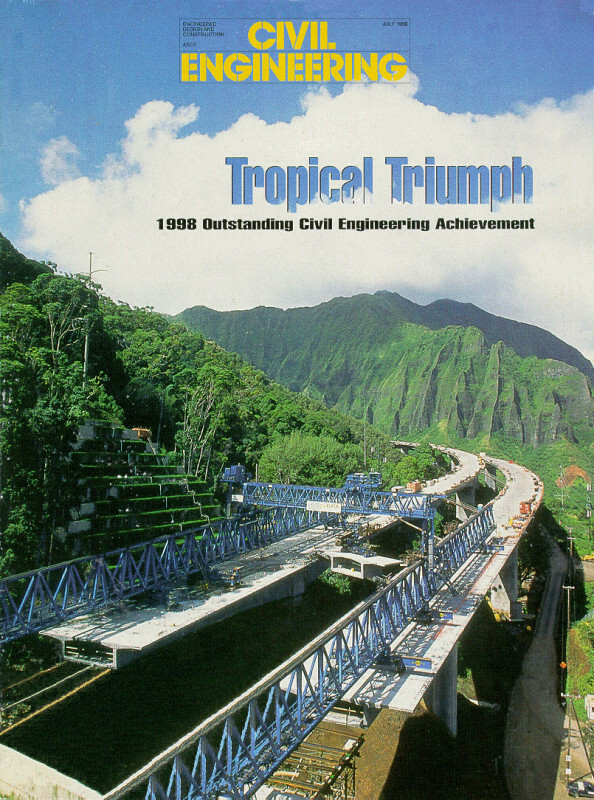 The Interstate Route H-3 Windward Viaduct, the longest bridge in the State of Hawaii, used state-of-the-art construction methods with bridge spans ranging from 240 to 300 ft. The superstructure is post-tensioned in both the longitudinal and transverse directions to provide strength and to control cracking. 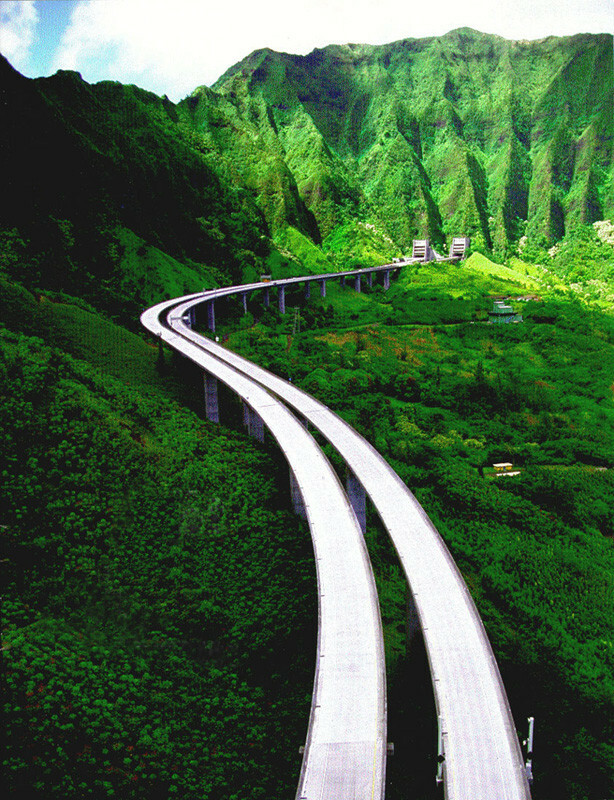 Due to the desire to blend the structure with the environment, the bridge is aligned to follow the curvature of the ridges. 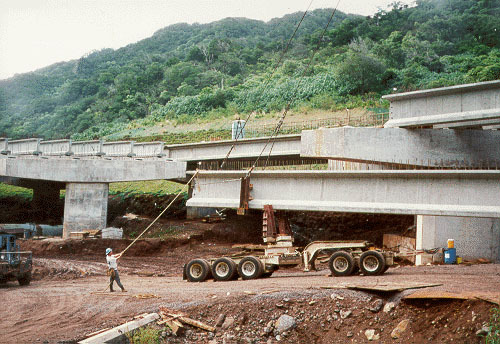 Consequently, it was necessary to design a bridge deck which varied in width in order to maintain adequate horizontal sight stopping distance. The result is a durable, safe, and aesthetically appealing finished structure. The bridge has been described as “a piece of sculpture a mile and a half long”.